Save up to 50% off favors and reception items! 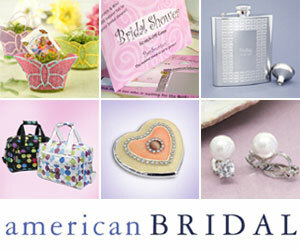 American Bridal is the website that offers cool, practical, unique wedding favors and bridal party gifts - not commonly found on the internet. Now unitl 02/22/2010 save up to 50% off favors and reception items! Click here (link) and save, no coupon necessary!